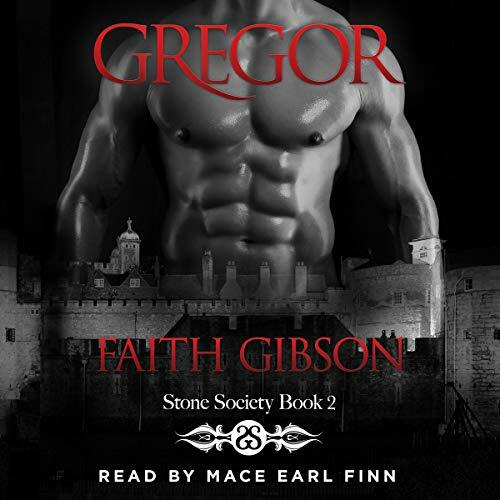 Gregor Stone is a full-blooded Gargoyle and the warden at the New Atlanta Penitentiary. He spends his days running the prison and his nights looking for Unholy. With the recent discovery that Gargoyles can mate with humans, there is new hope for his kind. Gregor has found his mate, but there’s one problem: she hates him. He believes his happily-ever-after is still just a fairy tale. Tessa Blackmore is Trouble with a capital T and has been since she was a baby. Tessa is a half-blood. Her father is a Gargoyle and her mother is human. The half-bloods have hidden themselves from the Gargoyles for centuries. Now that Tessa has found her mate in a full-blood, will she continue to hide, or will she give in to the pull of the mate bond? Tessa is running from her past and the madman hell bent on catching her. As he and his army close in, Tessa is forced to turn to the one man she has tried to avoid for years: her mate. 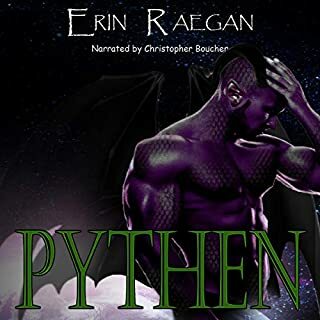 Book 2 in The Stone Society is about a hot alpha Gargoyle shapeshifter and his feisty redheaded mate. While the books can be heard as stand-alones, they are better enjoyed in order. I have to admit I enjoyed the storyline and characters in the first and this second book, but I find the narrator’s voice when changing into different characters very grating and droll! Especially when attempting a female pitch. I’ll try to listen to the third book in the series- not sure I’ll make it to the end listening to that voice! 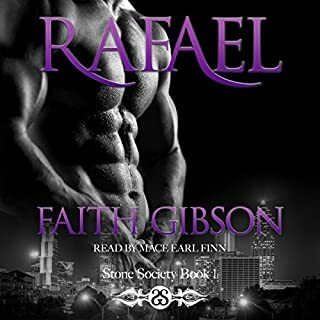 This was my first time reading a Faith Gibson book. I enjoyed the storyline but the narration wasn’t great. Mace’s voice was good as the voice of male characters (although he seemed to falter some when creating voices to differentiate between the male characters) but detracted from the story when attempting any of the female characters. The struggle with the voices made it difficult to enjoy the audiobook. A dual narration would probably benefit the audiobook better. With that being said, the story encourages you to follow your heart to obtain happiness. The story suggests that sometimes overthinking things will lead you to self destruction. What fate has determined, a stubborn redhead cant change, but she will definately try. Really enjoyed this second book, and cant wait for more. 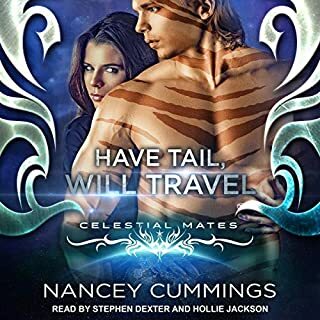 loved it want to get the rest of the series, please get it Audible. loved the narrator voice very good with all the different characters. Great story, Narrator good in certain parts. I loved the story! The narrator did a great job of sounding like what I would imagine a gargoyle would sound like. The only problem is he didn't do so well with the female parts. His voice was still the slow and stilting like the male voice. I would suggest maybe using a the male narrator with a female too in the future.